Dancers for events. Dance shows for hire in Spain: Madrid, Barcelona, etc. Dancers from the most popular TV shows in Spain: “¡Mira quién baila!”, “Hoy no me puedo levantar”, “Uno de los nuestros”, “40 el musical”, etc. Here’s more information on how to contract dancers for events. We count with a distinguished group of dancers for events, winners of many dance contests and also known for their work in the most popular TV programs and most successful musicals of the country. 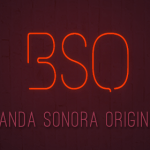 “Mira quien baila” (TVE), “Tu cara me suena” (Telecinco), “Uno de los nuestros” (TVE), “Más que baile” (Telecinco), “Operación Triunfo” (TVE/Telecinco), are some examples. “Hoy no me puedo levantar“, “Grease“, “Mamma Mia“, “Los 40“, “¡Mira quién baila!”, are some examples. 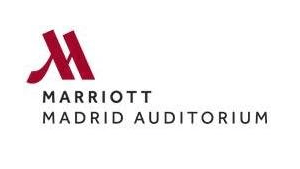 Reopening of the Madrid Marriott Auditorium. Our group works with the well-known amusement park Port Aventura in different events. Hiring dancers: our personal suggestion of dance shows for events. Ballroom dance show in which dancers are able to perform any kind of dance, for instance: tango, Latin rhythms, waltz, swing, pasodoble, etc. A very appropriate show for any kind of business event. 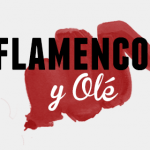 This Flamenco and Sevillanas show will be a success at any kind of event. The best dancers accompanied by the best cantaores, guitarists and musicians will create an unforgettable night with all the art of Flamenco. If you want to transform your event into a true Cabaret, this is the show for you. 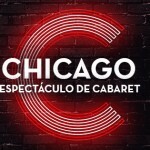 Prestigious dancers, winners of dance competitions and collaborators of TV shows, unite to recreate the sensual choreographies of one of the most successful musicals of all time. 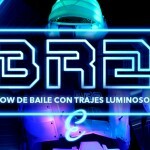 BR2 is a show that brings incredible choreographies in a bright stage. It presents the world in the year 2222, when the sun light has disappeared due to the greenhouse effect and it’s the robots BR2’s job to nourish the planet with light and entertain the human species. These dances come directly from India and are a very original option. Sensual and exotic choreographies that will bring the Asian vibes to your business event; colour, fantasy, entertainment and energy is what you can expect to see in these exotic and traditional dances from India. Show including famous choreographies from Hollywood, full of light and colours where music and dance combine to make the audience feel alive. Professionalism and youth are combined in these attractive choreographies which are full of surprises and will bring you back to your favourite movies. 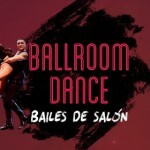 This is a ballroom dance shows which combines dances like pasodoble, merengue, flamenco and salsa amongst others. A new and original show which combines Spanish and Latin rhythms with the best professional dancers with years of experience. 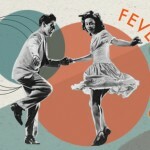 Swing is one of the most popular dances that originated in U.S.A around the twenties and thirties. With its hectic pace, guests won’t be able to resist the urge of standing up and join the dancers with or without a partner. We have the best dancers specialised in Swing to brighten up your event and make all your guests move their feet. A show which will bring all the passion of the tango to your event. Four dancers and three musicians will hit the stage maintaining the glamour of the style of this dance. Professional dancers will perform the most popular Argentine tangos mixing them with the European tango show dance. 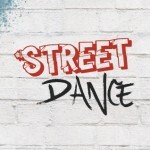 The dancers of Street Dance show will perform different urban dances like Hip hop, Funky and Break Dance. A show full of energy in which the dancer’s creativity and improvisation is very important. Ballroom dance, Bollywood, Break dance, Cabaret, Flamenco, Funky, Hip hop, Merengue, Pasodoble, Latin rhythms, Salsa, Street dance, Tango, Waltz, etc.